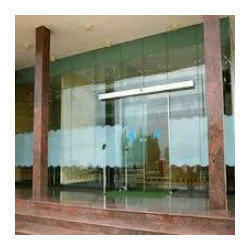 Services of Toughened Glass, Glass Door, Spider Glass Fittings, Shower Cubicle etc. 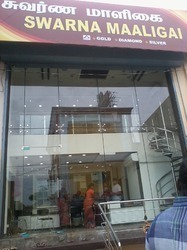 We Global Glass Technologies established in the year 2011 as a Sole Proprietorship venture with its operational roots situated at Chennai, Tamil Nadu (India). We are engaged in the trader, retailer and supplier of different types of Glass & Glass Fittings such as Toughened Glass, Glass Door, Spider Glass Fitting and many more. Our product line is widely appreciated amongst our rich client base owing to their congenial process and our pleasing aptitude of customer services. Our workers practices ethical approaches and possess client cardinal philosophy which help us maximum attention of client. We love to experience augmentation each instant, so to do so, we have built our alliances with renowned vendor base of the market and lay emphasis on practicing latest trade policies. Our panel of expert benignly plans and strategically implements the same for the well-being of our organization. We have recruited a number of skilled personals in our organization to purvey clients engrossment within ultimatum. With their unflinching efforts, we are regularly touching new verticals in the industry. Our team practices and carries out sheer trading policies in addition to pleasing client handling aptitude which assist us widen our client base. To effectuate their production capability, we time to time conduct motivational seminars and training sessions. Mr. S. Chandrasekaran has driven our organization to the desired heights of success in the industry. He possesses profound knowledge in the confined dominion and is responsible for all round germination and sprouting up of our organization. He has played a big league in enabling Global Glass Technologies writes its success story. His brilliant thinking and practical mindset always works on lead generation. Through his consistent efforts and strict vigilance, we are regularly touching new milestones. Supported by a team of skilled professionals, we have been able to meet the precise needs of our valuable customers in the most efficient manner. We work to attain maximum customer approval and satisfaction, boasting on a very congenial environment that is attained by working in close proximity and coordination with each other. The technical and professional skills of our employees are enhanced and polished in the most efficient manner, by training them at regular intervals of time through seminars and workshops. 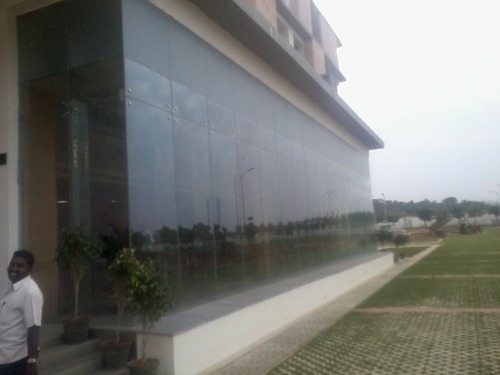 At Global Glass Technologies, we have been able to cater to the precise needs of our valuable customers owing to our string association with some of the trusted vendors of the industry. They are associated with us over long periods of time, to understand and meet their precise needs in the most efficient manner. Hold expertise in their area of work, our vendors are appointed by our procurement agents after carefully assessing their company’s reputation and credibility. In addition to this, our vendors are known for making use of latest machinery while developing the offered range. Wide distribution channel and efficient workplace, has helped us in meeting the precise needs of our valuable customers in the most efficient manner. We have been able to manage bulk demands in the most efficient manner, owing to our excellent storage facility and wide distribution channel. Customized packaging is offered, keeping in the mind the convenience of our customers. Keeping the budget constraint of our customers. We accept different modes of payment. Being a quality conscious name, we assure that the premium quality of the offered range is never compromised.